I finally crossed SnowShoe Race off my bucket list! It's been something I've been wanting to do and when I purchased my running snowshoes last month, I knew I had to finally take the plunge and register myself for a race. The Bradbury Squall 3.5 miler is done! I was rather nervous that the race was going to be cancelled due to our lack of snow or that the race would be a trail race. But then the email came from the race director - the race was ON and to wear snowshoes. I had been prepping myself for a sloppy, winter trail race - but was excited because I have been wearing the sweet KingMT's that Altra will be releasing in the next month. When reality sunk in that I was indeed going to be running my first snowshoe race, I became SO nervous. I had only run in my new Atlas 22's, twice since I purchased them. I have also been on the treadmill a TON lately. How on earth does that prepare me for a snowshoe race? It doesn't. You don't know how many times, just after I finish a race, Ward is telling me about how awful my form is. In my head, my form rocks. But, then I see race photos and listen to Ward and I know it needs help. Like BIG time help! A majority of the time, I run alone. I would rather run with a partner, don't get me wrong. But scheduling doesn't always allow it. When I do get to run with someone, it's like a special treat! As one of my goals this year is to "Master the Half", I know I need to zone in on my form. Short of having Ward bike beside me and shout corrections at me (which, by the way would be super bad for our marriage), I am not sure what else I can do. I guess I could record my form on the treadmill. But now I don't have to! 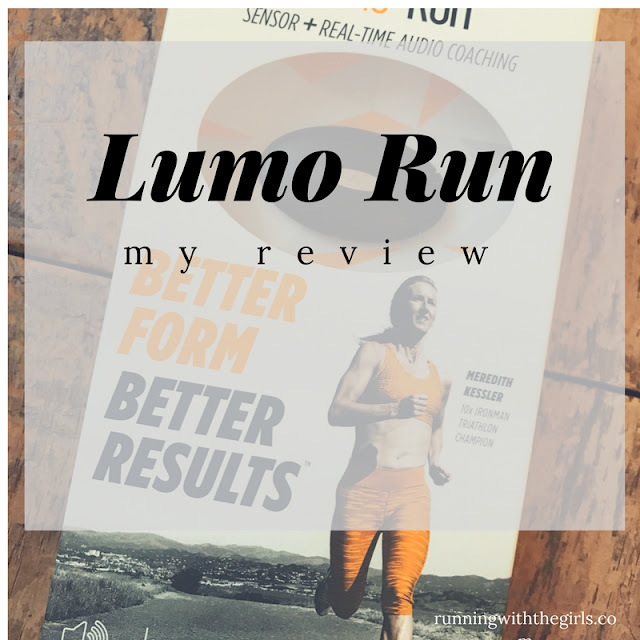 I have my one 1:1 Running Coach, in the form of a simple looking running tool called Lumo Run.